So much to see, incredible cycling, meals to please the most demanding palate, truly a fiesta every day! From the Puerto de Santa Maria to San Roque, cycle through some of the most beautiful scenery in Spain. SPAIN THE WAY IT SHOULD BE SEEN, ON A BIKE AND WITH US! The crew will meet you in Seville and then we shuttle to Puerto de Santa Maria where bullfights and good eating a favorite local pastime. 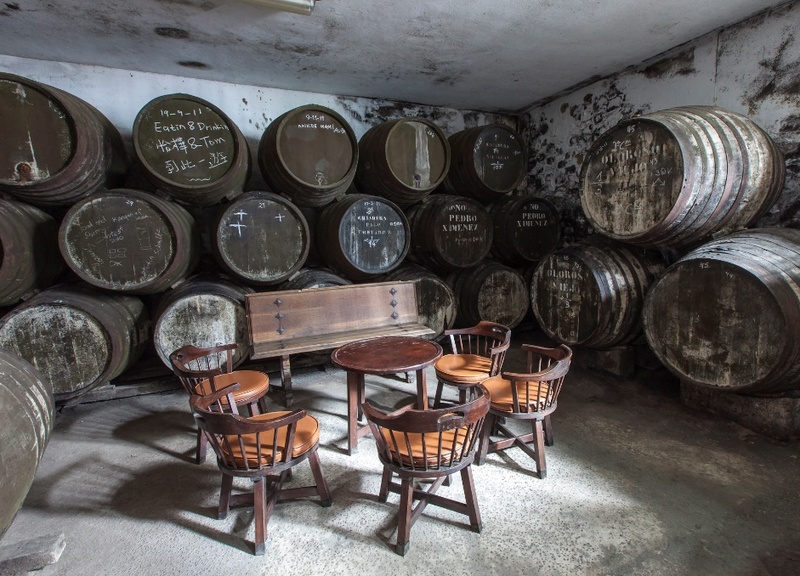 After your bike fitting and a short warm-up ride, we visit a winery and have a sherry tasting. No warm day in this port ends without a stroll along the beach for a fiery Spanish sunset. After visiting the Royal Spanish Riding School in Jerez de la Frontera we bike to the hill town of Arcos dramatically perched on top of a deep gorge carved by the river Guadalete. Our hotel tonight is the Parador on the main square, in which Charles de Gaulle wrote part of his memoirs. The views of the plains below seem endless. This truly is a natural wonder. A challenging ride through spectacular, mountain ranges across the Parque Natural de La Sierra de Grazalema a natural wonder on its own. Our charming hotel provides us with unique views of the town which is surrounded by mountains. A stunning ride through a natural wonder; the Serranía de Ronda oak forests. After stopping in a village where the houses are carved into the rock walls of a river canyon, we arrive in Ronda. The next day is our walking tour of Ronda. Visit the oldest and perhaps most beautiful bullring in Spain, the place where bullfighting originated. This afternoon you will enjoy free time to explore the city. A ride in the Sierra takes us to a cave inhabited 25,000 years ago by prehistoric man. This is also the sight of the oldest pottery found in all of Europe. View its beautiful paintings found on the cave walls. In the afternoon we will ride in the Parque Natural de los Alcornocales, the largest Mediterranean Forest in Europe. Tonight, we stay at the old hunting palace of the Dukes of Medinaceli, a National Monument in the middle of its 16,000 hectares, is the biggest ranch in Europe. A natural wonder morning! We visit another hill town, but this one is built entirely inside a castle. 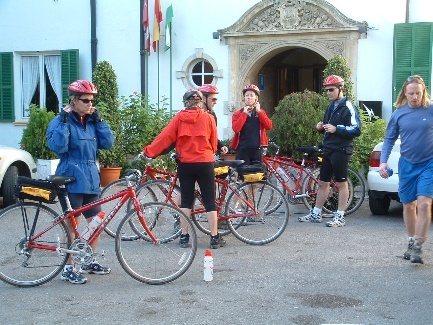 Then, ride through Cork Oak Forests, citrus farms and arrive at the Mediterranean Coast. Our manor home for the next 2 nights is family run and offers wonderful food, a charming host and the opportunity to bird-watch, chill by the pool or take several great hikes in the mountains. There’s time for golf on some of the best golf courses in the country. Today you may spend the day in town shopping or visiting the museums or you can lounge by the pool. Our vans are ready to shuttle you into Malaga to the beach or the golf course.